” Edward Snowden says the only thing he regrets about his revelations regarding NSA surveillance is that he didn’t do it sooner. The former NSA analyst took part in a question-and-answer session on Reddit along with filmmaker Laura Poitras and and journalist Glenn Greenwald Monday. The trio appeared on the site to celebrate the Academy Award that “Citizenfour,” a documentary that depicts some of the earliest interviews between journalists and Snowden, received. The NSA leaker was temporarily banned from the popular submission site during the community Q&A, also known as an “ask me anything” or AMA. 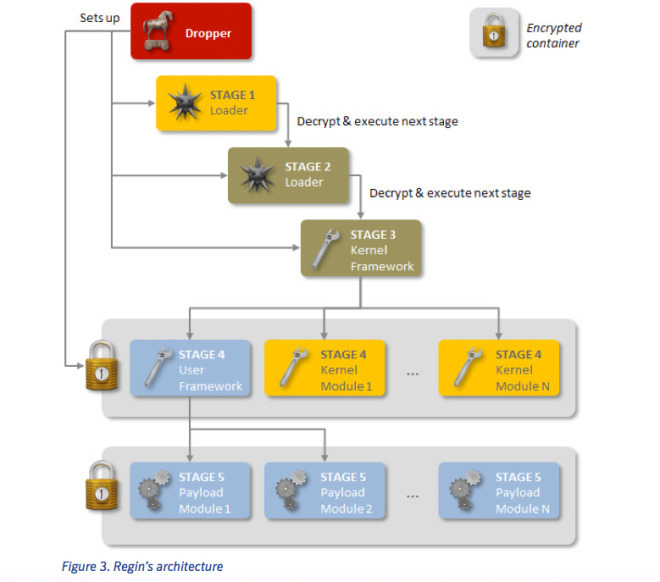 “Regin” , A Massive State-Run Hacking Tool Uncovered … But Who’s Is It ? ” It was the spring of 2011 when the European Commission discovered it had been hacked. The intrusion into the EU’s legislative body was sophisticated and widespread and used a zero-day exploit to get in. Once the attackers established a stronghold on the network, they were in for the long haul. They scouted the network architecture for additional victims and covered their tracks well. Eventually, they infected numerous systems belonging to the European Commission and the European Council before being discovered. Two years later another big target was hacked. This time it was Belgacom, the partly state-owned Belgian telecom. In this case, too, the attack was sophisticated and complex. According to published news reports and documents leaked by Edward Snowden, the attackers targeted system administrators working for Belgacom and used their credentials to gain access to routers controlling the telecom’s cellular network. Belgacom publicly acknowledged the hack, but has never provided details about the breach. ” Now it appears that security researchers have found the massive digital spy tool used in all three attacks. Dubbed “Regin” by Microsoft, more than a hundred victims have been found to date, but there are likely many others still unknown. That’s because the espionage tool—a malicious platform capable of taking over entire networks and infrastructures—has been around since at least 2008, possibly even earlier, and is built to remain stealth on a system for years. The threat has been known since at least 2011, around the time the EU was hacked and some of the attack files made their way to Microsoft, who added detection for the component to its security software. Researchers with Kaspersky Lab only began tracking the threat in 2012, collecting bits and pieces of the massive threat. Symantec began investigating it in 2013 after some of its customers were infected. Putting together information from each, it’s clear the platform is highly complex and modulated and can be customized with a wide range of capabilities depending on the target and the attackers’ needs. Researchers have found 50 payloads so far for stealing files and other data, but have evidence that still more exist. “ It’s a threat that everyone has detected for some time, but no one has exposed [until now],” says Eric Chien, technical director of Symantec’s Security Technology and Response division. ” Activists on the left are demanding President Obama flex his muscle over the country’s spy agencies. The CIA’s admission that a handful of officials spied on Senate staffers is proof that the White House has lost control of the intelligence agencies, critics say. They are also discomforted by the continued support Obama has offered for agency Director John Brennan. “ This is not an isolated incident,” said Becky Bond, political director with the progressive group Credo. “ The fact that these intelligence officials are able to keep their job when major breaches or major assaults on the Constitution are made public — let alone all the things that are happening that we don’t know about — it sets a very dangerous precedent,” she added. In recent days, more than 42,000 people have signed Credo’s petition calling for Obama to “fire” Brennan, along with agency officials who knew about the snooping on Congress. The petition also calls for the Justice Department to file criminal charges against people involved in the congressional snooping. The administration’s positions have inflamed civil libertarians on both sides of the aisle. But for liberals who supported Obama based in part on his opposition to the powerful security apparatus of the administration of President George W. Bush, the shift is especially painful. 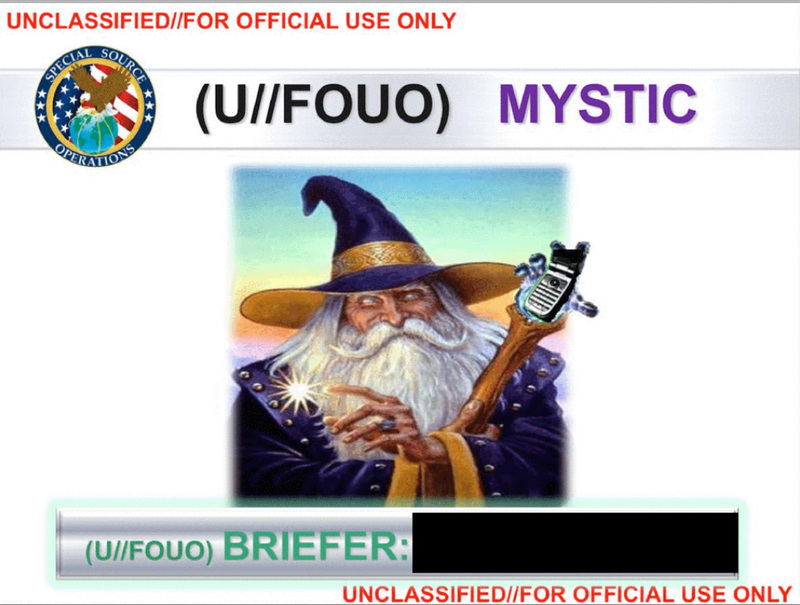 ” Just because you turned off your phone doesn’t mean the NSA isn’t using it to spy on you. Edward Snowden’s latest revelation about the NSA’s snooping inspired an extra dose of shock and disbelief when he said the agency’s hackers can use a mobile phone as a bug even after it’s been turned off. The whistleblower made that eye-opening claim when Brian Williams of NBC Nightly News, holding his iPhone aloft during last Wednesday’s interview, asked, “What can the NSA do with this device if they want to get into my life? Can anyone turn it on remotely if it’s off? Can they turn on apps? “ They can absolutely turn them on with the power turned off to the device,” Snowden replied. ” Sen. Rand Paul (R-KY) received a warm welcome from a packed audience at the University of California-Berkeley on Wednesday afternoon, as he addressed the Berkeley Forum at International House. Paul’s message of investigating and restraining the Central Intelligence Agency and other security arms of the federal government went down well on a campus that was the core of the anti-war movement in the Vietnam era. Yet there were quite a few conservative Republicans in the audience as well, on hand to hear one of their party’s new leaders–and, many expect, a likely contender for the presidential nomination in 2016. Breitbart has more and we are pleased to present Senator Paul’s address in the official Berkeley version above and an unedited version from an audience member below . ” Since November, advertisements featuring the face of former National Security Agency contractor Edward Snowden have been wrapped around several city buses roaming the streets and avenues of Washington, D.C. The can’t-miss ads featuring whistleblower Snowden’s goateed visage cover most of the outside of the buses. ” The National Security Agency has reportedly used automated systems to infect user computers with malware since 2010, according to a Wednesday report. And at times the agency pretended to be Facebook to install its malware. 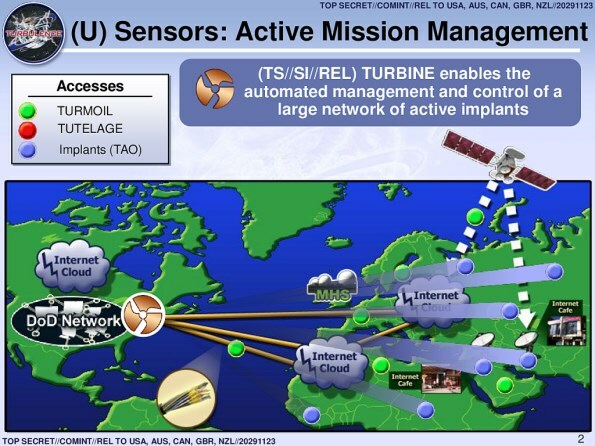 The NSA has been using a program code-named Turbine to contaminate computers and networks with malware “implants” capable of spying on users, according to news website The Intercept, which cited documents provided by whistle-blower Edward Snowden. Between 85,000 and 100,000 of these implants have been deployed worldwide thus far, the report said. To infect computers with malware, the NSA has relied on various tactics, including posing as Facebook. Other ways the NSA infects malware onto computers include sending out spam emails. ” Britain’s surveillance agency GCHQ, with aid from the US National Security Agency, intercepted and stored the webcam images of millions of internet users not suspected of wrongdoing, secret documents reveal. ” Optic Nerve, the documents provided by NSA whistleblower Edward Snowden show, began as a prototype in 2008 and was still active in 2012, according to an internal GCHQ wiki page accessed that year. The Guardian has much more on the latest revelations of Statism brought to light by Edward Snowden’s courageous act of defiance . ” One of the many pressing stories that remains to be told from the Snowden archive is how western intelligence agencies are attempting to manipulate and control online discourse with extreme tactics of deception and reputation-destruction. It’s time to tell a chunk of that story, complete with the relevant documents. ” We submitted numerous questions to GCHQ, including: (1) Does GCHQ in fact engage in “false flag operations” where material is posted to the Internet and falsely attributed to someone else? ; (2) Does GCHQ engage in efforts to influence or manipulate political discourse online? ; and (3) Does GCHQ’s mandate include targeting common criminals (such as boiler room operators), or only foreign threats? This Glenn Greenwald piece is a must read for all that have any interaction with the internet . Yes , this means you . We’re all targets now . No one is safe from attempts to destroy dissent facilitated with our own tax dollars and conducted by our own government . ” “Who is Edward Snowden?” “Do you know him?” “Where is Bradley Manning?” Those are just some of the questions that Jesselyn Radack, a human rights advocate, whistleblower group member and lawyer to former National Security Agency contractor Edward Snowden, was asked while being detained and questioned by customs staff at London’s Heathrow Airport. As she was going through customs, Radack was led to a separate room by a Heathrow Border Force agent who showed no interest in her documents, but seemed intent on asking her a series of questions that appeared aimed at emotional intimidation. She tweeted about the incident, then came out with a public statement denouncing the whole practice and the harassment it often entails: “The government, whether in the US, UK or elsewhere does not have the authority to monitor, harass or intimidate lawyers for representing unpopular clients.” RT’s Ameera David speaks with Radack about her experience and why she was singled out by British authorities. 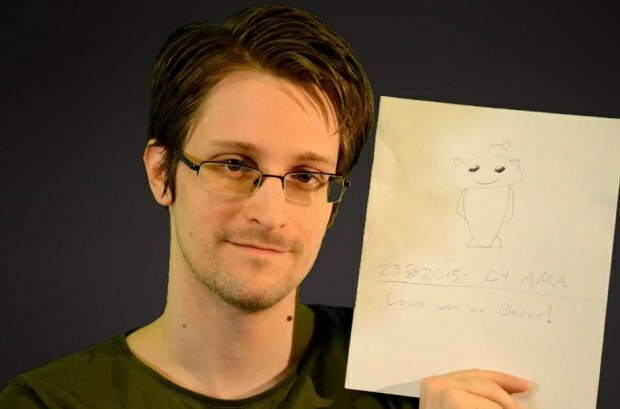 ” In a video released Thursday on the Ron Paul Channel, an online network the libertarian started last summer, he calls on supporters to sign the petition in an attempt to bring Snowden home to the US safely before his temporary visa in Russia expires in July. Here is the video of Dr Paul from his website and you can sign the petition here . We highly recommend that you do so . 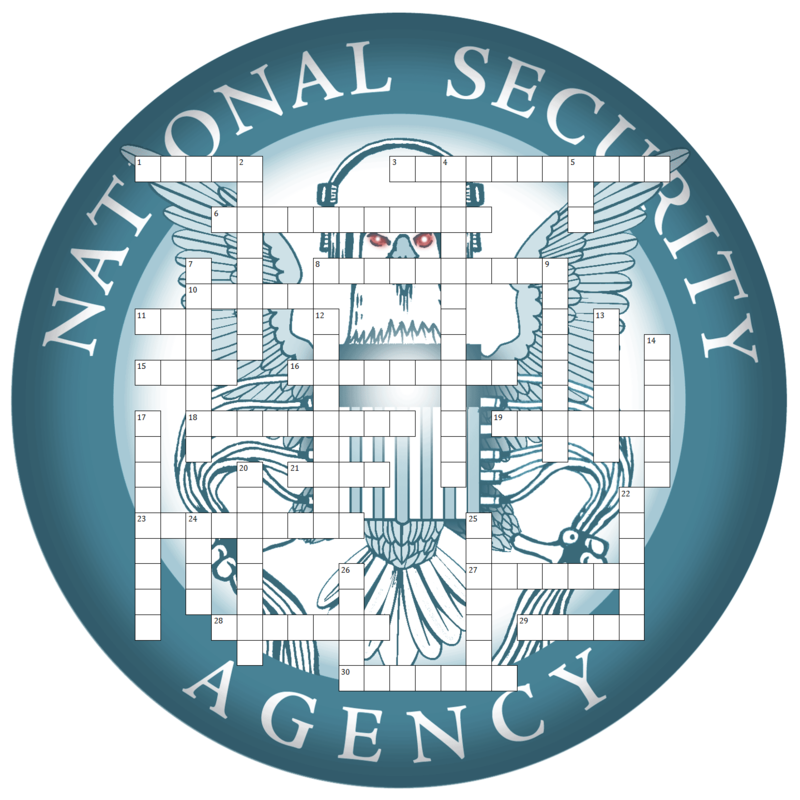 Crossword Puzzle: What Did We Learn About The NSA This Year? 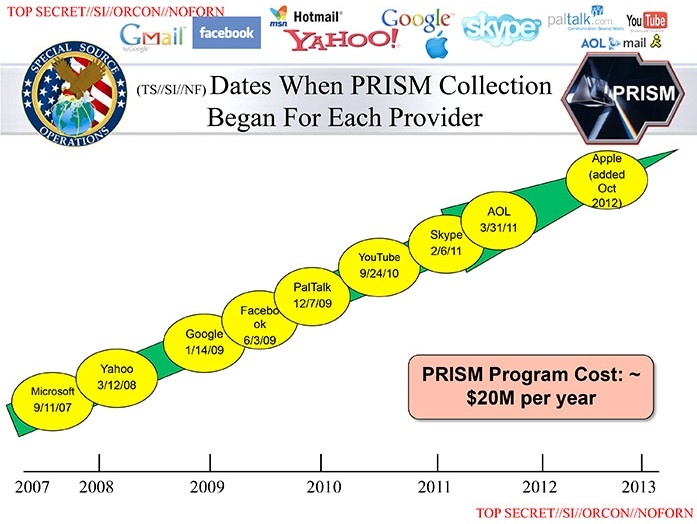 ” We’ve certainly learned a lot this year about the surveillance state. Thanks to the cache of intelligence documents leaked by Edward Snowden, as well as the hoards of legal records we liberated through our Freedom of Information Act lawsuits, we’ve had immense amounts of new information to consume and process. But how many of the details do you remember? It’s time for a pop quiz. And Dec. 21 just happens to be the 100th anniversary of the crossword puzzle. ” Six months ago, I stepped out from the shadows of the United States Government’s National Security Agency to stand in front of a journalist’s camera. The NSA and other spying agencies tell us that for our own “safety” –for Dilma’s “safety,” for Petrobras’ “safety”– they have revoked our right to privacy and broken into our lives. And they did it without asking the public in any country, even their own. 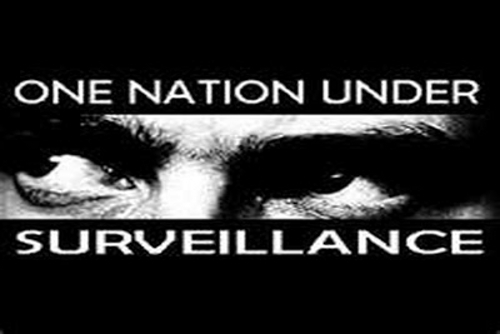 There is a huge difference between legal programs, legitimate spying, legitimate law enforcement –where individuals are targeted based on a reasonable, individualized suspicion – and these programs of dragnet mass surveillance that put entire populations under an all-seeing eye and save copies forever. I have expressed my willingness to assist wherever appropriate and lawful, but unfortunately the United States government has worked very hard to limit my ability to do so –going so far as to force down the Presidential Plane of Evo Morales to prevent me from traveling to Latin America! Even the defenders of mass surveillance, those who may not be persuaded that our surveillance technologies have dangerously outpaced democratic controls, now agree that in democracies, surveillance of the public must be debated by the public. My act of conscience began with a statement: “I don’t want to live in a world where everything that I say, everything I do, everyone I talk to, every expression of creativity or love or friendship is recorded.